A country cottage quilt displays beautiful embroidered red berries and green vines in a center wreath on a soft-white background. Machine stitching swirls throughout the background for an extra touch, and framed with red borders. A light weight quilt that is perfect for winter holidays, or year-round for those that love red! Prices is for Quilt Only. 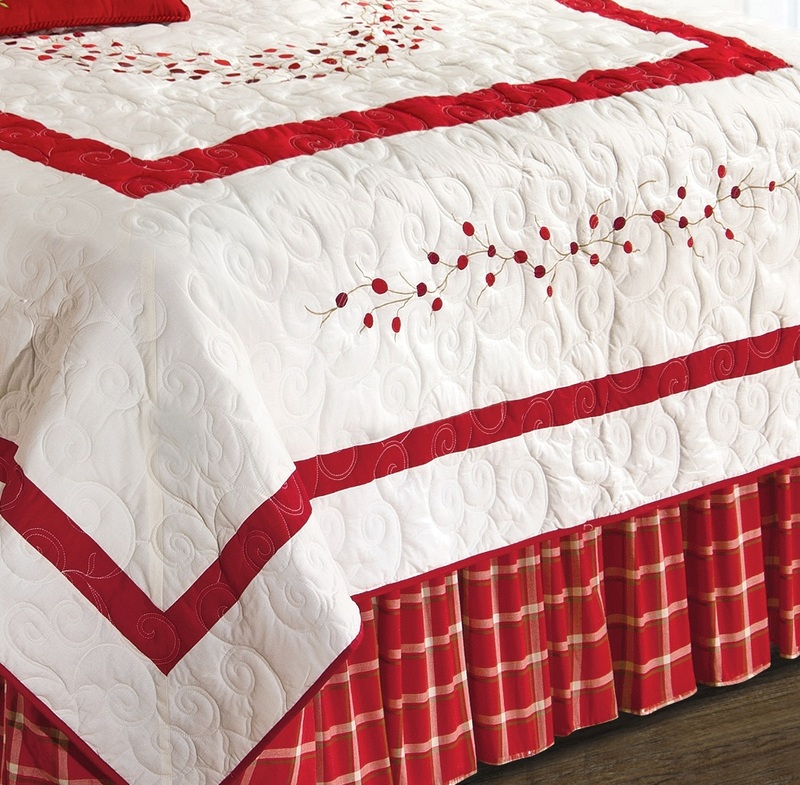 See accessories and our special 3-piece set (Quilt + 2 Shams) below.